Why? 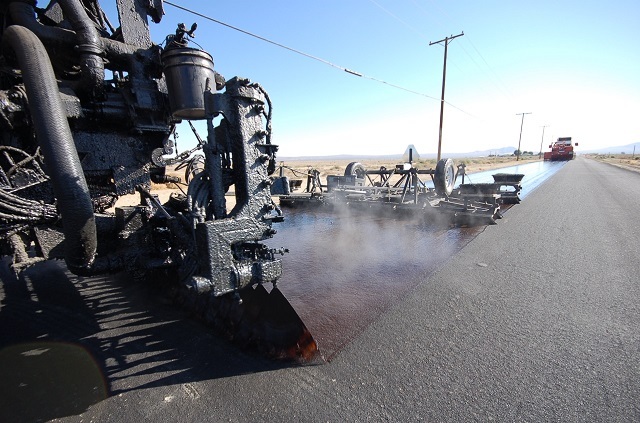 Chip seal treatments are very cost effective methods of treating roads. Sometimes it may be cost effective to treat heavily distressed roadways with an effective interim solution. A scrub seal provides an excellent treatment opportunity to treat a heavily distressed road cost effectively. The scrub broom helps push the asphalt emulsion down into the cracks and ensure they are better filled and creating a better seal. When the chips are applied to the emulsion it creates a further seal to the roadway. When? The basis of frequency of application is similar to that for a chip seal except scrub seal treatments typically last 5 to 7 years. How? 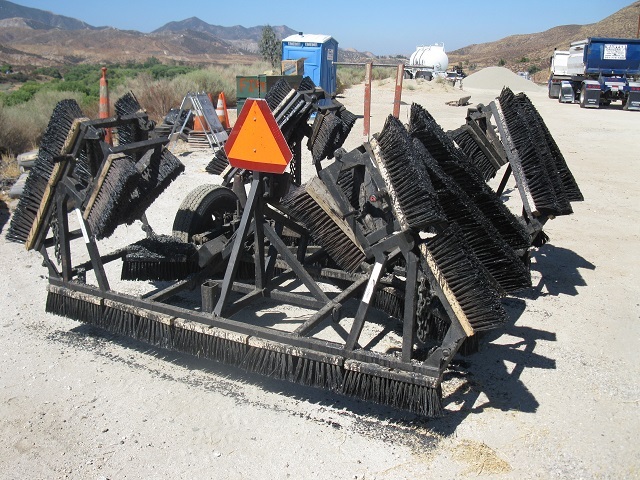 The application of a scrub seal is very similar to how a chip seal is placed, except the distributor truck tows a scrub broom. The rate of asphalt emulsion application and travel speed of the distributor truck are adjusted to result in a small “wave” of asphalt emulsion being generated in front of the forward brooms. The brooms force the wave of asphalt emulsion down into the cracks resulting in the cracks being better filled. The rear brooms ensure the asphalt emulsion is uniformly applied and that any excess is swept forward.